STEVE MARMEL CALLED MITCH MCCONNELL A CREEPY UNCLE! THAT'S INSULTING FOR ME! 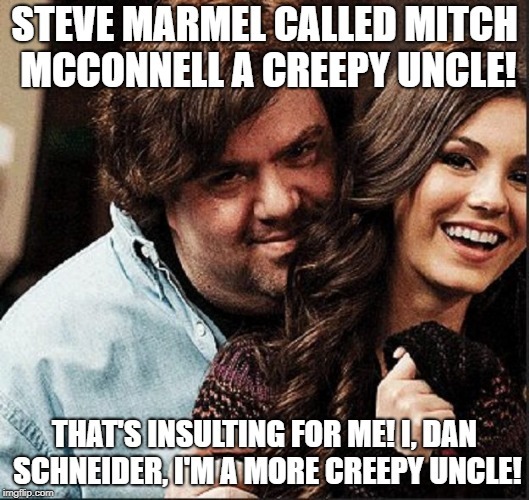 I, DAN SCHNEIDER, I'M A MORE CREEPY UNCLE!